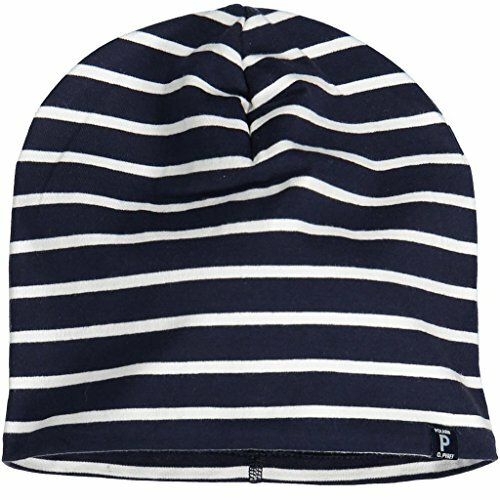 Polarn O. Pyret Fleece Lined ECO Beanie (2-9YRS) - Dark Sapphire/2-9 Years by Polarn O. Pyret at Toad Lily Press. Hurry! Limited time offer. Offer valid only while supplies last. Striped hat in 100% organic cotton. The hat features our signature stripes and is lined with soft, warming fleece.Machine wash warm. Do not bleach. Striped hat in 100% organic cotton. The hat features our signature stripes and is lined with soft, warming fleece.Machine wash warm. Do not bleach. Do not tumble dry. Do not iron. Do not dry clean. If you have any questions about this product by Polarn O. Pyret, contact us by completing and submitting the form below. If you are looking for a specif part number, please include it with your message.